Witness and experience a musical festival unlike any other as Power Mac Center, the country’s leading Apple partner, brings back Sync Sessions, an audio-digital crossover experience that bring together some of the country’s iconic bands synchronize good music and cutting-edge technology using Apple devices. This year’s edition kicked off last September 19 at TriNoma, Quezon City with leading alternative rock band, Hale. It will be followed by a techno rock performance of Up Dharma Down on October 3 at Power Plant Mall in Makati; five-piece pop rock band Mayonnaise at SM Mall of Asia on October 10 and with chart-topper Sponge Cola culminating the series on October 17 at SM Megamall. Sync Sessions started in 2014, showcasing the power of Apple products in creating revolutionary live band performances. Among the acts who took part in the Sync Sessions were Sandwich, Pedicab, Kate Torralba, Taken By Cars, Techy Romantics, The Zombettes, Pedicab, Gracenote, Ciudad, Itchyworms including Franco and Urbandub live performances at the Power Mac Center’s Light Year event recently. 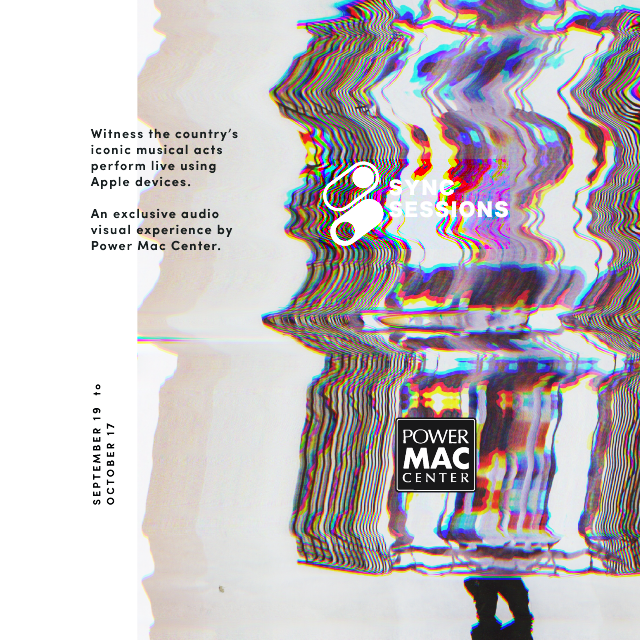 Get the chance to watch these bands take center stage and showcase their one-of-a-kind live performances at Power Mac Center’s Sync Sessions.